Click here to view current Pediatrics opportunities. The new University of Michigan C.S. Mott Children’s Hospital and Von Voigtlander Women’s Hospital opened in December 2011. The leaders and best got even better with a new, state-of-the-art facility that helps us continue to evolve, transform and drive the future of children’s medicine and pregnancy and childbirth care. All to deliver the best in patient and family-centered care to our patients and families. A 32-bed acute pediatric hematology, oncology and bone marrow transplant unit. Patients range in age from newborn to young adulthood. Patient diagnoses range from hematological disorders, such as chronic granulomatous disease and sickle cell anemia, to oncological disorders including leukemia, lymphoma, and solid tumor. Ongoing education includes a Chemotherapy Certification course, and an eight-day Bone Marrow Transplant course. A 46-bed Level IV neonatal center serving our region, state and beyond. We remain one of the state’s leading referral centers for premature Neonatal and infants with complex medical problems such as congenital heart disease, complex surgical problems or unusual anomalies, need for extracorporeal membrane oxygenation (ECMO), high frequency ventilation, nitric oxide therapy, and whole body or selective head cooling for hypothermic neuroprotection. About 75% of the Newborn ICU admissions are inborn, and 25% are transported from our referral region. We offer 24/7 neonatal transport services with Newborn ICU RNs as members of the transport team. Our specialized nursing team members provide quality nursing care to newborns from the acute phase of illness through recovery. A family-centered approach to care is practiced in the Neonatal Intensive Care Unit. We provide individualized support and education to families during hospitalization and in preparation for discharge. We empower families to participate in decision making for and in the care of their child. The Pediatric Intensive Care Unit (PICU) is a 30 bed monitored ICU located on the 10th floor of the new C.S. Mott Children’s Hospital. The unit is multi-acuity ranging from critically ill to short stay observation. 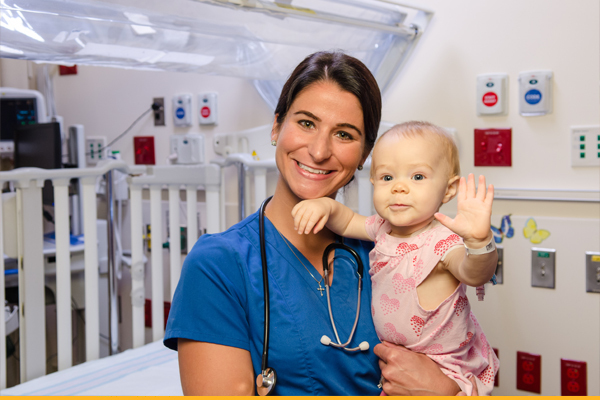 Multidisciplinary care is provided for children from newborn to young adult, in partnership with Pediatric Critical Care Medicine, Pediatric Surgery, Pediatric Neurosurgery, Vascular Surgery, Orthopedic Surgery, Otolaryngology, Plastic Surgery, Hematology/Oncology, BMT, Nephrology, Transplant Surgery, and Pediatric Cardiology. State-of-the-art technology including ECMO, Nitric Oxide, High Frequency Ventilation, and CRRT are used in the care of patients in the PICU. Family centered care including family presence during physician rounds, nursing report, and parent spending the night with their child is supported and encouraged. PICU participates in the NACHRI collaborative to improve quality of care and outcomes. A 30-bed tertiary care center receiving patients from state, regional, national and international referrals. PCTU specializes in the medical and surgical care of infants, children, adolescents and adults with congenital and acquired heart disease. Our goal is the provision of exemplary nursing care embracing a philosophy of family centered care empowering families to participate in the decision making and care of their children. The Pediatric Cardiothoracic Intensive Care Unit nurse cares for patients in a technology intensive environment including ECMO, CRRT and VADs. They are required to perform complex physiologic patient assessments in a high intensity environment for high acuity patients with rapidly changing status. Our patients undergo the most progressive surgical and catheterization interventions. Our nursing staff practice in close partnership with the cardiologists, cardiothoracic surgeons and fellows providing individual support and education to families and patients throughout their intensive care unit admission. A 32-bed unit, including a 10 bed moderate care area for patients requiring closer monitoring and observation. 11 West is part of the Michigan Congenital Heart Center (MCHC) which is an integrated medical, surgical, nursing and administrative program within C.S. Mott Children’s hospital. Patients come from state, regional, national and international referrals. We provide family centered care to pediatric cardiology and cardiac surgery patients ranging in age from newborn to young adult. A 32-bed positive, energetic medical/surgical unit where our passion is to provide world-class family centered care. Patients range in age from premature neonates to young adults. Come work with a multidisciplinary team whose commitment to excellence is underscored only by our commitment to patients and their families. You will work with general pediatric medicine and surgery patients as well as specialty services of GI, Pulmonary, ID, Liver Transplant, Genetics, Oto and Plastic Surgery. Ask about how our “FISH” philosophy, adopted by our nursing team, is influencing our practice. A 32-bed pediatric medical-surgical unit, serving patients ranging from infant to young adult. The primary services admitting patients here are trauma, nephrology, kidney transplant, orthopedic surgery, neurosurgery, rehabilitation, and general pediatric medical patients including stable patients on a ventilator. Is responsible for pre- and post-anesthesia and procedural care of pediatric (newborn – adult) patients undergoing specific procedures scheduled through Mott Anesthesiology. The PACU has a total of 76 bays which are staffed by RN’s, LPN’s, and MA’s. This staff cares for patients throughout the perioperative process. The patient population consists of neonates through adults undergoing diagnostic or major/minor surgical procedures. Approximately 60% of the patients are outpatient, 24% are admission day procedures, and 16% are inpatients. We use a modified case management approach to care that provides coordination and continuity from the first point of patient contact with preoperative education, through postoperative follow-up via telephone. Patient care in PACU is family-centered and developmentally founded. Parents are incorporated into all aspects of perioperative care, and postoperatively as early as deemed possible by the PACU nurse. Patient and family education and information are provided at appropriate levels of understanding. A full-service pediatric OR unit, featuring 16 operating rooms, 2 interventional radiology rooms including robotic surgery capabilities and an intraoperative MRI OR, where nurses care for children of all ages undergoing surgical procedures on an outpatient and inpatient basis. The Mott OR practices under the guidelines of the American Association of Operating Room Nurses (AORN), and is recognized by The American College of Surgeons, qualifying our OR unit as one of 13 Level I Pediatric Trauma Centers in the country. We provide comprehensive pediatric perioperative care, be it outpatient, admission post-procedure, planned in-patient or trauma – performing more than 10,000 surgical procedures each year. The OR patient population consists of neonates through adults undergoing diagnostic or major/minor surgical procedures in areas as varied as Otolaryngology, Neurosurgery, Cardiovascular, Orthopedics, Urology, Ophthalmology, General Surgery, Dental, Plastics and Transplants. We endeavor to deliver the highest standard of nursing care to patients and families in the perioperative setting, in keeping with UMHS’ Vision Statement of “Patients and Families First.” We strive to enhance the educational enrichment of our surgical team to promote retention and individual growth while maintaining an environment that values diversity, respect, honesty, fairness and compassion for all team members.